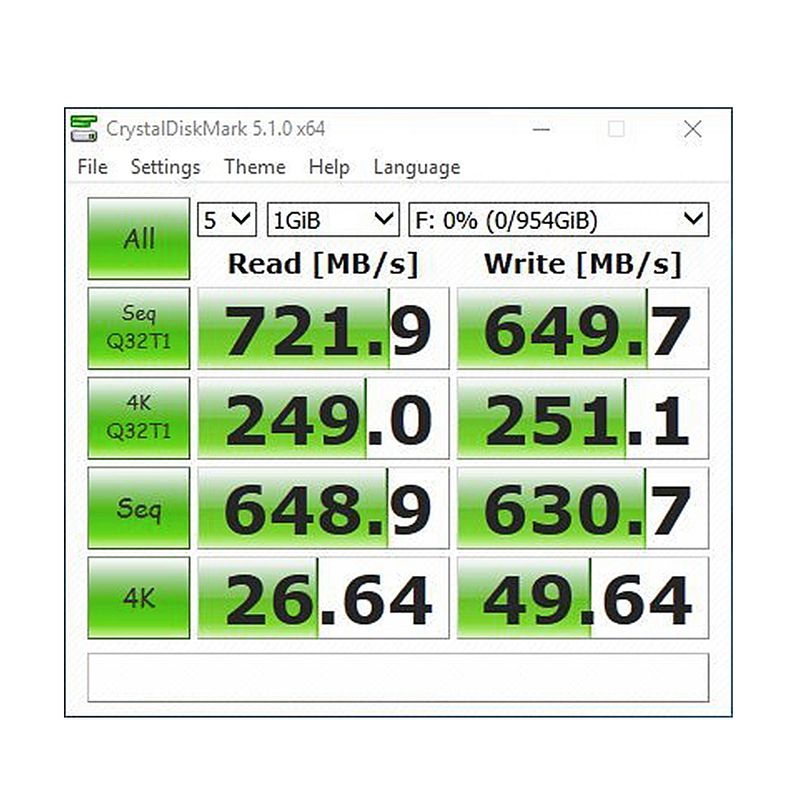 Never feel frustrated or left waiting with MyDigitalSSD’s external USB 3.1 SuperSpeed Plus BOOST with UASP - the world’s fastest USB 3.1 SSD! Designed to keep your data safe on the go, the BOOST fits a full terabyte (1TB) of storage in your pocket while delivering up to 9X faster performance than an external hard drive; with up to 35X faster access times. 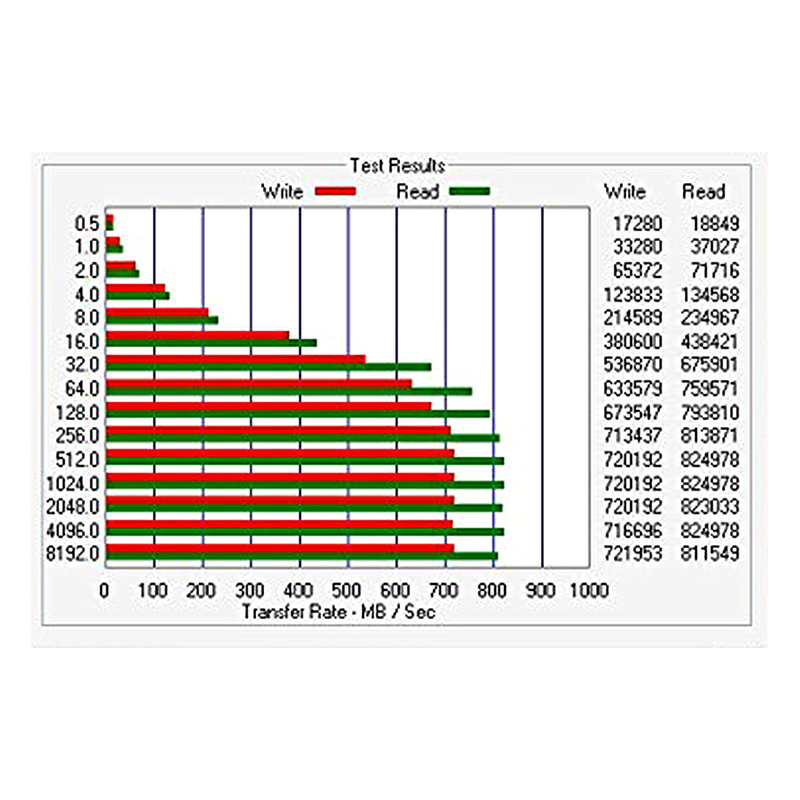 The BOOST utilizes two TLC SATA III SSDs working together in RAID 0 to maximize bandwidth during data transfer; allowing users to share files, work directly from the drive, and run installed apps or games at incredible transfer speeds of up to 830MB/s read and 730MB/s write. Don’t let other drives hold you back. 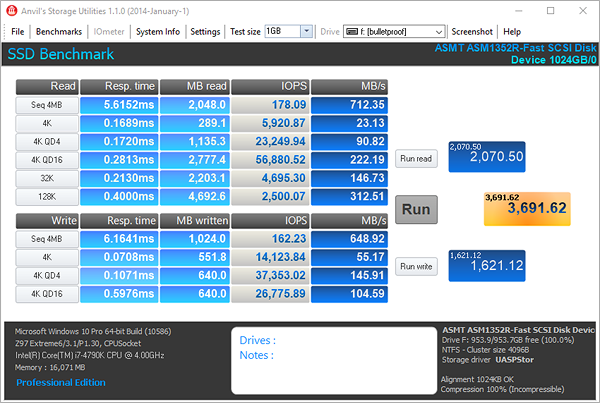 Give your productivity a BOOST with high-performance portable storage from MyDigitalSSD! 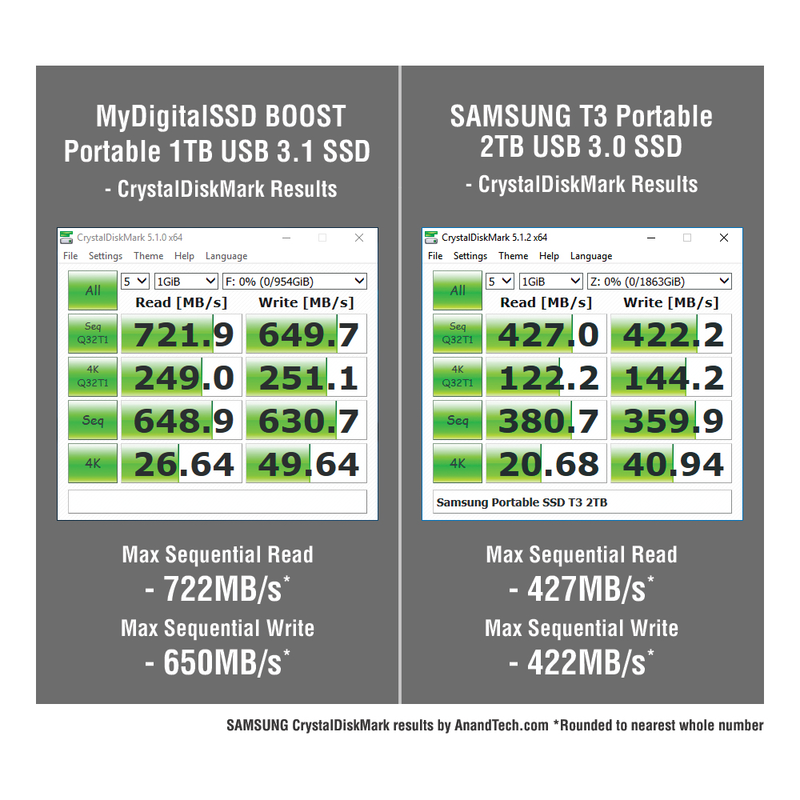 The MyDigitalSSD BOOST maximizes drive performance utilizing 10Gbps USB 3.1 SuperSpeed Plus (SSP) connectivity. 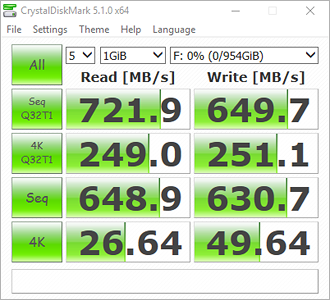 USB 3.1 standard is backward compatible with USB 3.0/2.0/1.1 host connections for use in virtually any USB device. 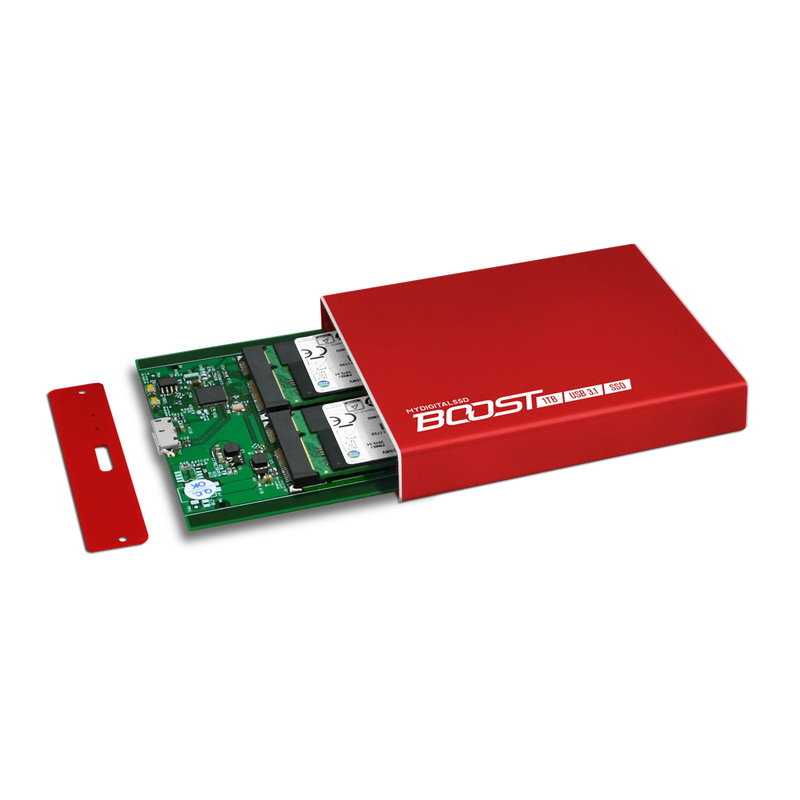 Enhanced with UASP (USB Attached SCSI Protocol) support, the BOOST offers transfer speeds up to 70% faster than traditional USB 3.0 in UASP-enabled host devices by reducing latency and processor usage to utilize the BOOST’s full potential. The results of which is near-instant access to your data anytime, at home or on the go. 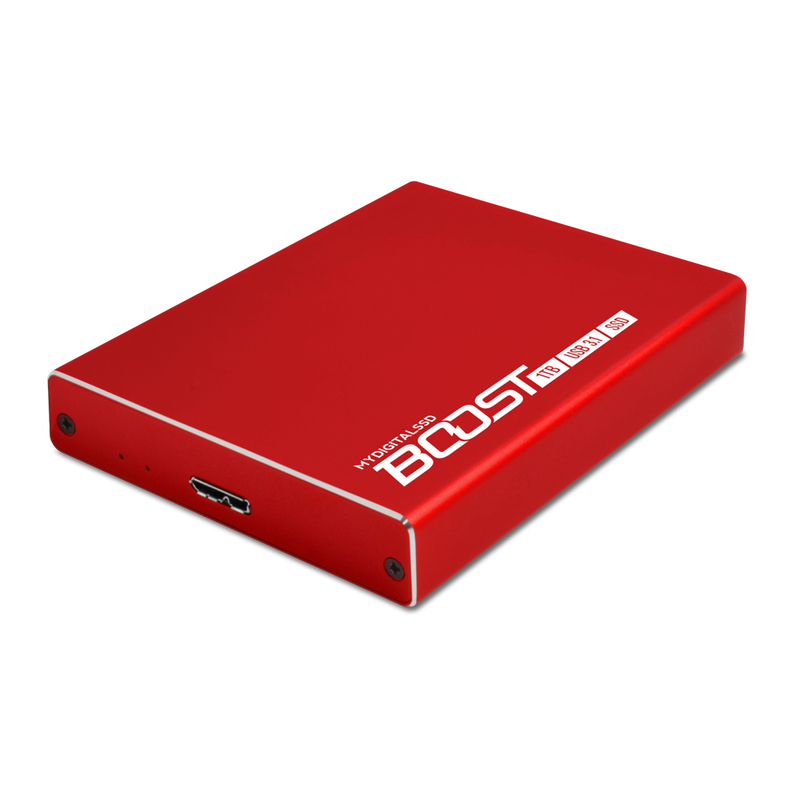 No bigger than the average wallet, the MyDigitalSSD BOOST features a lightweight, crush resistant aluminum casing that safeguards against shock and vibration for optimum data protection in any environment. BOOST solid state drives are powered directly through the USB port, eliminating the need to carry an additional power cord. Access your files from any USB compliant notebook or device with this hot-swappable plug and play BOOST SSD. No additional drivers or software required. 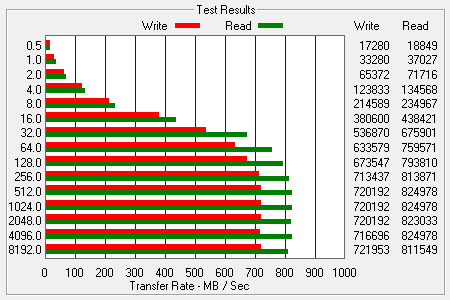 Don’t let lengthy load times ruin your favorite games. Get in the game faster by loading your XBox One and Steam library directly from the MyDigitalSSD BOOST portable SSD. Loading from the BOOST not only reduces load times but simultaneously saves space on your stock hard drive and opens the possibility of safely taking your games on the go. Stop wasting time downloading at a friend’s house, show up ready to play with BOOST! 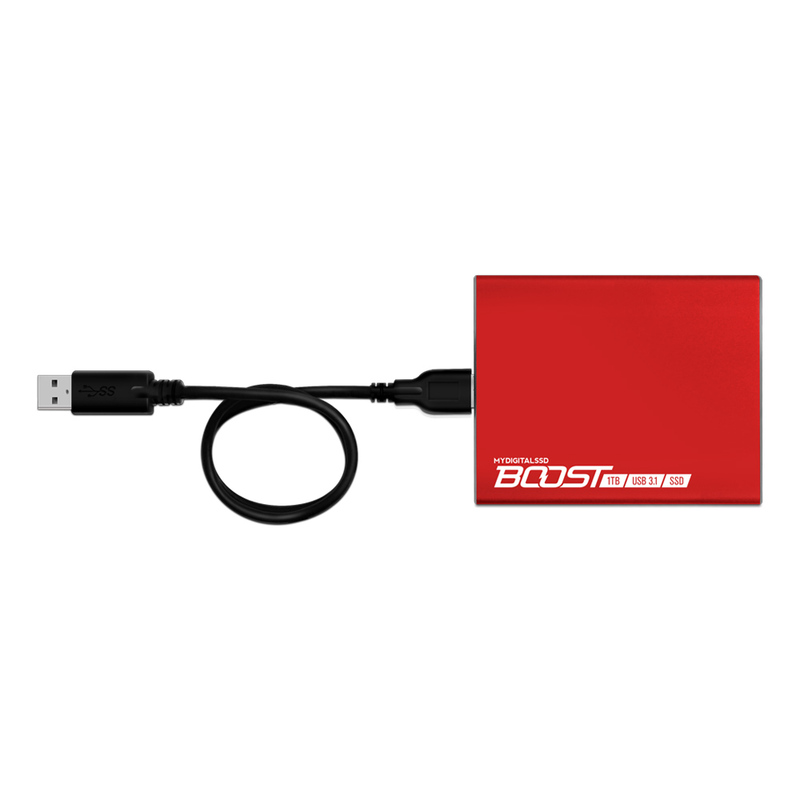 Each BOOST portable SSD includes two 18” USB cables to maximize connectivity. 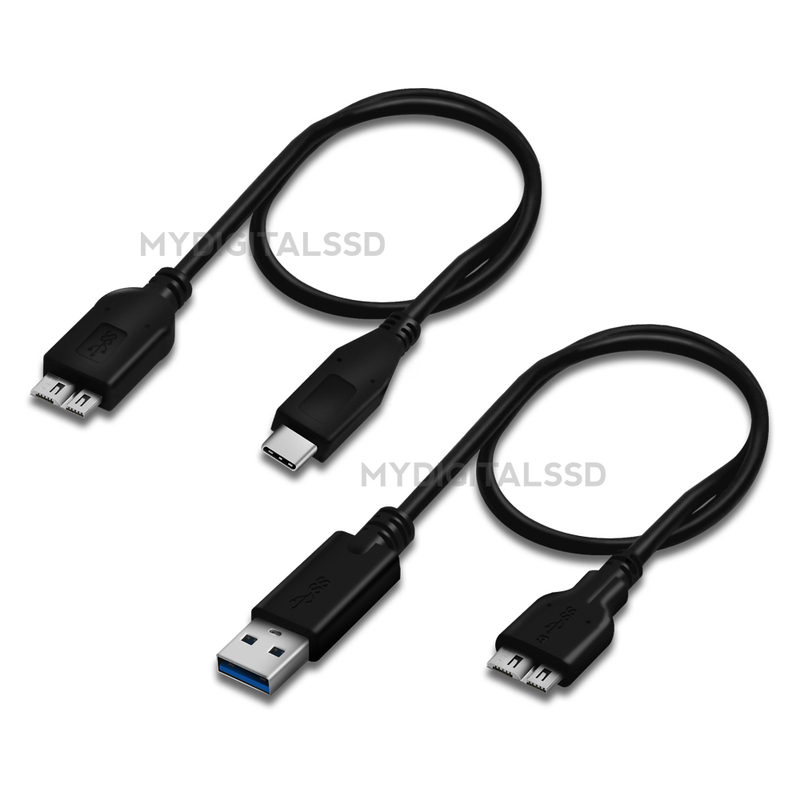 One, a 3.0 (USB 3.1 Gen 1) USB-A to Micro-B cable for use in any standard USB port. The other, a 3.1 USB-C to Micro-B cable for use in newer desktops, expansion cards, laptops, and mobile devices that have a USB-C port. 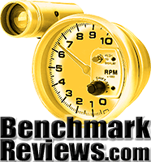 Test Environment: ASRock Extreme6/3.1 / Intel Core i7-4790K 4.0GHz / 16GB RAM / Windows 7 Ultimate 64-Bit / USB 3.1 Gen 2 Type A and C ports. Driver UASPStor. 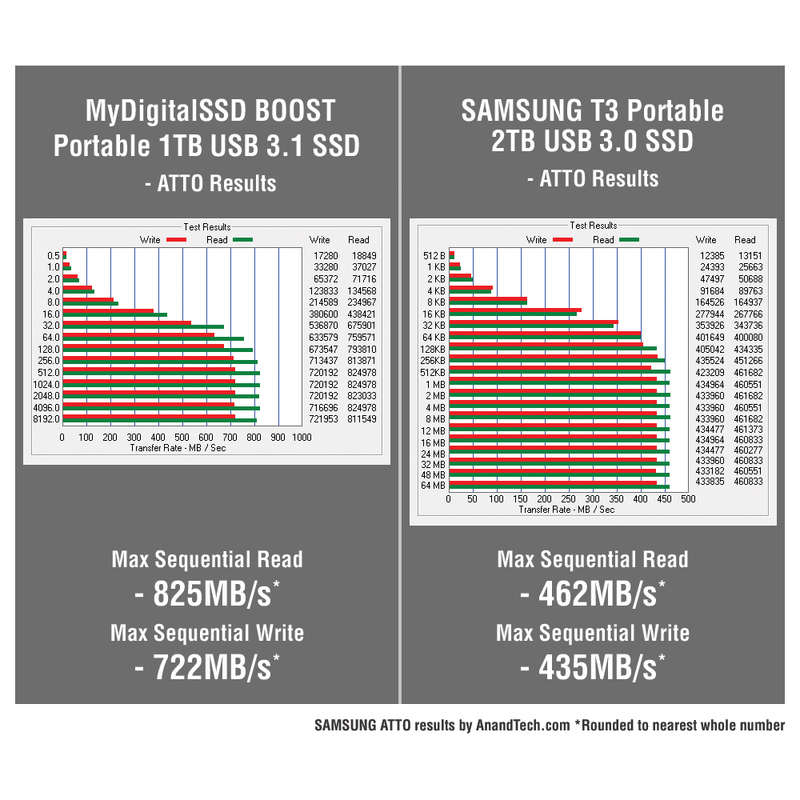 Synopsis: Contributing Editor Chris Ramseyer compares MyDigitalSSD’s BOOST with the SanDisk Extreme 900 and Samsung T3 to find out which portable SSD offers the best value.